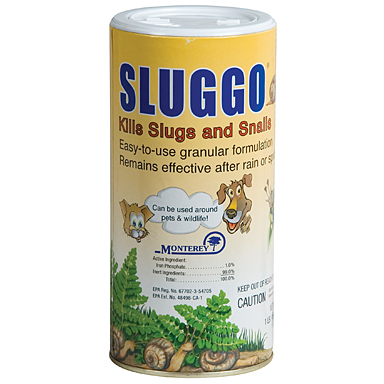 Sluggo Snail & Slug Spray is a unique blend of an iron phosphate active ingredient, originating from soil, with slug and snail bait additives. It is an ingredient in fertilizers.The bait which is not ingested by snails and slugs will degrade and become a part of the soil. 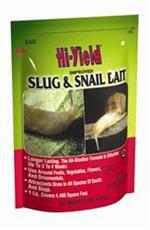 The bait is ingested by slugs and snails when they travel from their hiding places to plants. Ingestion, even in small amounts, will cause them to cease feeding. This physiological effect of the bait gives immediate protection to the plants even though the slugs and snails may remain in the area. After eating the bait, the slugs and snails cease feeding, become less mobile and begin to die within three to six days. Dead slugs and snails may not be visible as they often crawl away to secluded places to die. Sluggo Snail & Slug Spray is effective against a wide variety of slugs and snails and will give protection to home lawns, gardens, greenhouses, outdoor ornamentals, vegetable gardens, fruits, berries, citrus and crop plants. The bait can be scattered on the lawn or on the soil around vegetable plants, flowers, fruit trees or bushes to be protected. Would you like to see the Sluggo Snail & Slug Spray Label? 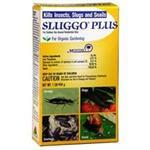 How about the Sluggo Snail & Slug Spray MSDS sheet?